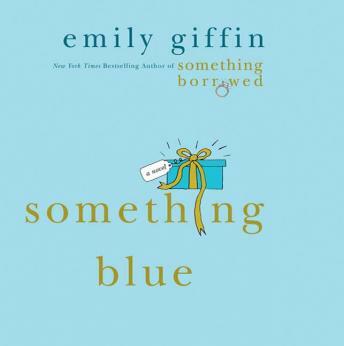 From the New York Times bestselling author of Something Borrowed comes a novel that shows how someone with a 'perfect life' can lose it all-and then find everything. But Darcy's neat, perfect world turns upside down when her best friend, Rachel, the plain-Jane 'good girl,' steals her fiancé, while Darcy finds herself completely alone for the first time in her life...with a baby on the way. This is a very lightweight story anyway, and so really would have benefited from a narrator who added SOME depth to the character with their approach. Sorry but I found the narration annoying and difficult to listen to. Will go down in history as one of my favorites that I Read over and over again. Great book, Darcy really changed, which was a good thing, I just wish it was longer than 4 cd's. I thought this was a great book. it was a light, fun read. I liked two of her other books, but this one drove me crazy, so I gave up. Too whiny - both the reader and the main character. I usually like chick lits, but this one was just okay. Darcy was so shallow the first half of the book that I could barely keep listening and then at the end, she'd done such a 180 that she was overly apologetic about going into labor. I mean, who would apologize for such a thing? Especially Darcy, regardless of how much she'd changed. That part of the transformation seemed a bit overboard. I really enjoyed this book, even more so than Something Borrowed. I agree that is starts off shallow, but that is part of the charm of the book...that people can change! A pleasant read. A nice fantasy. The character is interesting but the story is hard to believe. It is an entertaining light read. I almost stopped listening after the first CD......it was so shallow! but it became very enjoyable the rest of the way. Somewhat predictable but also entertaining. It's a good one for the commute.